Nuclear fusion, the process that powers our sun, happens when nuclear reactions between light elements produce heavier ones. It's also happening – at a smaller scale – in a Colorado State University laboratory. 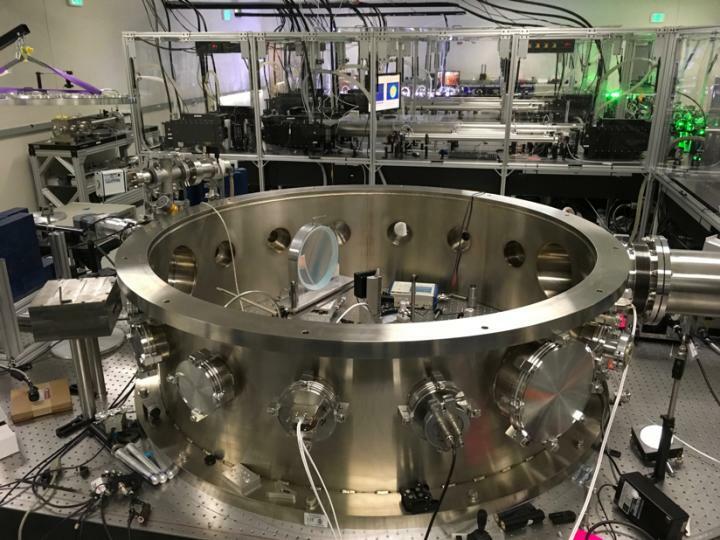 Using a compact but powerful laser to heat arrays of ordered nanowires, CSU scientists and collaborators have demonstrated micro-scale nuclear fusion in the lab. They have achieved record-setting efficiency for the generation of neutrons – chargeless sub-atomic particles resulting from the fusion process. Their work is detailed in a paper published in Nature Communications, and is led by Jorge Rocca, University Distinguished Professor in electrical and computer engineering and physics. The paper's first author is Alden Curtis, a CSU graduate student. In contrast, Rocca's team of students, research scientists and collaborators, work with an ultra fast, high-powered tabletop laser they built from scratch. They use their fast, pulsed laser to irradiate a target of invisible wires and instantly create extremely hot, dense plasmas – with conditions approaching those inside the sun. These plasmas drive fusion reactions, giving off helium and flashes of energetic neutrons. In their Nature Communications experiment, the team produced a record number of neutrons per unit of laser energy – about 500 times better than experiments that use conventional flat targets from the same material. Their laser's target was an array of nanowires made out of a material called deuterated polyethylene. The material is similar to the widely used polyethylene plastic, but its common hydrogen atoms are substituted by deuterium, a heavier kind of hydrogen atom. The paper is titled "Micro-scale fusion in dense relativistic nanowire array plasmas." The research was supported by the Air Force Office of Scientific Research and by Mission Support Test Services, LLC.